MA Euroculture Programme is over for the 2011 – 2013 students and now most of them are on the hunt for a job or an internship – their gateway into the professional world. There are a few among those students who do not have to do this because they have already secured a place in the job market. I talked to my very good friend and fellow classmate from Goettingen, Angie Dominguez Sahagun, about her new life in Brussels working from the AEC – European Association of Conservatories – on how her job relates to the program and what she suggests to the MA Euroculture graduates when looking for a job. 1. Hi, Angie. Can you briefly describe the association and the position? Hi. The AEC – European Association of Conservatories is a cultural and educational network working at an international level with over 280 member institutions for professional music training in 57 countries. Within this association, I coordinate a specific project called “Polifonia” (www.polifonia.eu). This project is founded by the European Commission and it addresses European higher education policy issues from the perspective of higher music education. 2. How did you get the position? I did my internship, as part of the MA Euroculture professional track, in the association, but my tasks were not directly related to the project I am developing now. I was in charge of general administration and tasks regarding event organisation and gradually became involved with the project. A position became available within the project team and I decided to apply even though I had not finished the MA Euroculture program. I went through a long and quite stressful application process but finally I got the position, mainly because I had already been working for them. During that internship I had proved my interest and I was already partly trained, which made things easier in general. 3. How is the position related to MA Euroculture? The position involves coordinating institutions from many different countries, you need to have good communications skills and be able to work in an international environment. Also, the project is mainly founded by the EU; therefore, it is convenient to be familiar with how the institutions work and how the projects are developed at this level. Despite this, most of the skills that the position demands need to be acquired through practice. Thus, I do believe MA Euroculture has helped me develop the necessary soft skills to deal with this position. 4. How is life in Brussels? Is it the right place for graduates of MA Euroculture? What are the good and bad things? In my case, I don’t work directly in contact with the EU institutions. AEC is based in a small office in the centre, which makes it quite familiar and personal. Most of the time I move only in the same neighbourhood so I don´t have the feeling of being in a big metropolis. Brussels is a very active cultural capital. You have interesting events on a daily basis and many chances to know people from many different countries. You have all the advantages of a big city but it is not overwhelming. Also, if you are not that eager to work in collaboration with the EU institutions, you have many other opportunities in small foundations and independent organisations. It is definitely a good place to start your career, create contacts and get familiar with how projects work in a European level. The city itself can look a bit grey in general, the weather doesn’t help and it is considerably expensive to move around. However, you can find nice places and it is very well connected, you can leave the city for a weekend and visit many European cities quite easily. 5. Plans for the future? I am staying in Brussels until the end of the Polifonia project in September 2014; but I have no plans beyond that deadline. Most of the projects work by cycles and you don´t know if the project you are working on will be selected for a new cycle, which makes settling down quite a challenge. First of all, I would need to figure out if this is the field I would like to work in the future. If the project doesn’t get selected for a new cycle, I would try to apply for a similar position but possibly not in Brussels. 6. What would you recommend for the graduates of MA Euroculture? What should they do when looking for a job? In my case, getting the position was considerably easy. I was lucky that I was in the right place at the right time… However, for this to happen, it is necessary to be flexible and active. Opportunities won’t knock on your door, you have to go for them and display a positive and hardworking attitude. 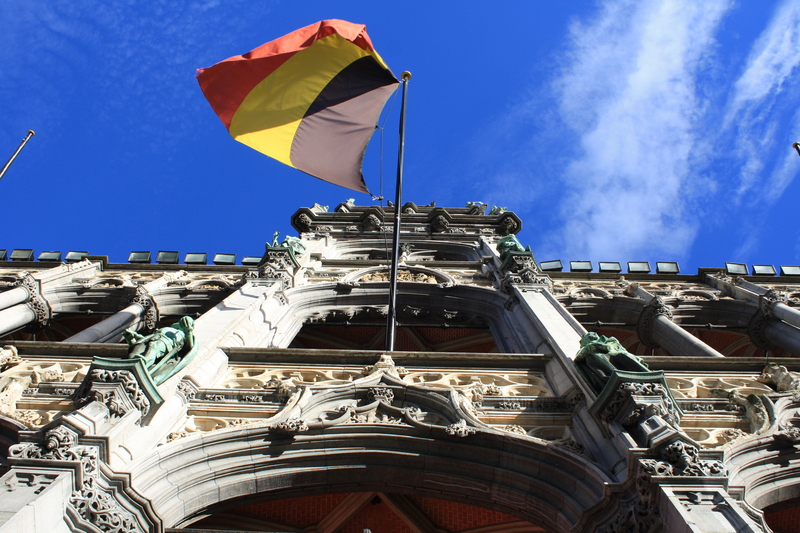 The application processes can be very tricky, especially in places like Brussels where there is a lot of competition. You have to prove you have something to offer that the rest of the applicants don’t. Blindly applying for positions everywhere is a waste of time, you have to be very specific and convincing, and the only way to get that, is by being really informed about the place you are applying to. Thank you very much, Angie, for sharing your story! Penelope is from Greece and studied French Language and Literature for her BA in the Philosophic School of the University of Athens. During her MA Euroculture years, she studied in Goettingen(1st and 4th semester) and Krakow(2nd semester) and did an internship in Hamburg. She recently got a job in Barcelona and is very excited to start her post EuCu life.